Our water is processed by a state-of-the art reverse osmosis filter as well as micron and carbon filters. To further insure the purity of the water, it is also protected by ozonation. Creative Water prides itself on offering our customers a highly competitive price while providing a premium product. Creative Water is proud to offer some new products to our portfolio. We offer a more economical option, Creative Water Lite, and a sleek and up-scale cylinder bottle. Detailed product information and pricing for each of our bottle options is provided below. If you have any questions, please contact our office and we will be glad to assist you. 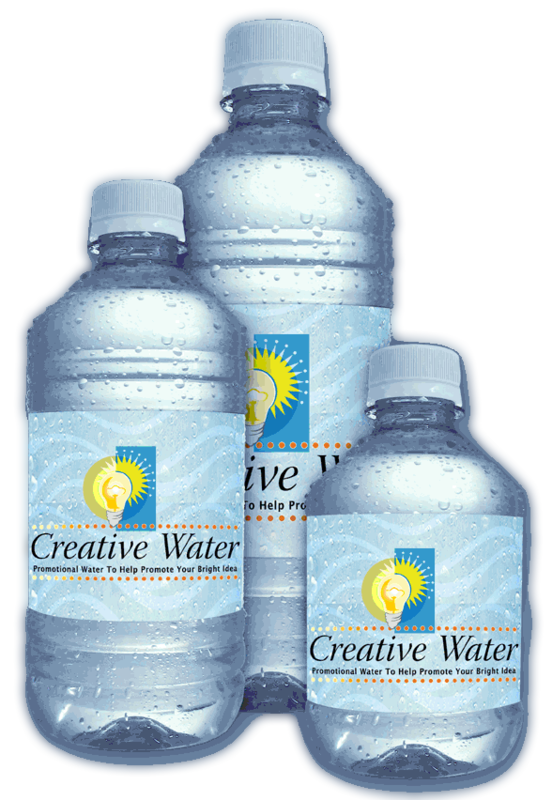 To ensure easy ordering and the best price for our customers, Creative Water provides you with three bottle sizes, an 8 ounce, a 12 ounce and 16.9 ounce. All three are produced using a high quality, recyclable, 19 gram PET plastic bottle. The 8 ounce, 12 ounce and 16.9 ounce cases contain 24 bottles. Creative Water Lite is produced in our Louisiana production facility and is a more economical option to the traditional Creative Water. There are 2 bottle options you can choose from, a high quality 16.9 oz bottle or a high quality 12 oz bottle. Label size for the 16.9 oz bottle is 2 inches by 7 inches and 1.75 inches by 7.25 inches for the 12 oz. Both are labeled on a flat surface panel on the bottle. Production time for Creative Water Lite is 15-20 business days and must consist of full pallet orders. No partial pallet orders. Our cylinder, or “bullet” bottle is only offered in the popular 16.9 oz bottle. This sleek and upscale bottle offers a completely flat surface with no ribs or ridges on the bottle. Orders must consist of full pallets. No partial pallet orders. Pallets consist of 60 cases, or 1440 bottles. Production time is 15-20 business days for this product and comes out of our Texas production facility. Free delivery in DFW metroplex on scheduled delivery days. Orders ship from our Texas facility for orders outside of Dallas/Ft. Worth. Creative Water has a sister company, 3 Dreams Wine, that specializes in the production of custom labeled wine. Visit us at www.3dreamswine.com to see pricing and information on our wine.